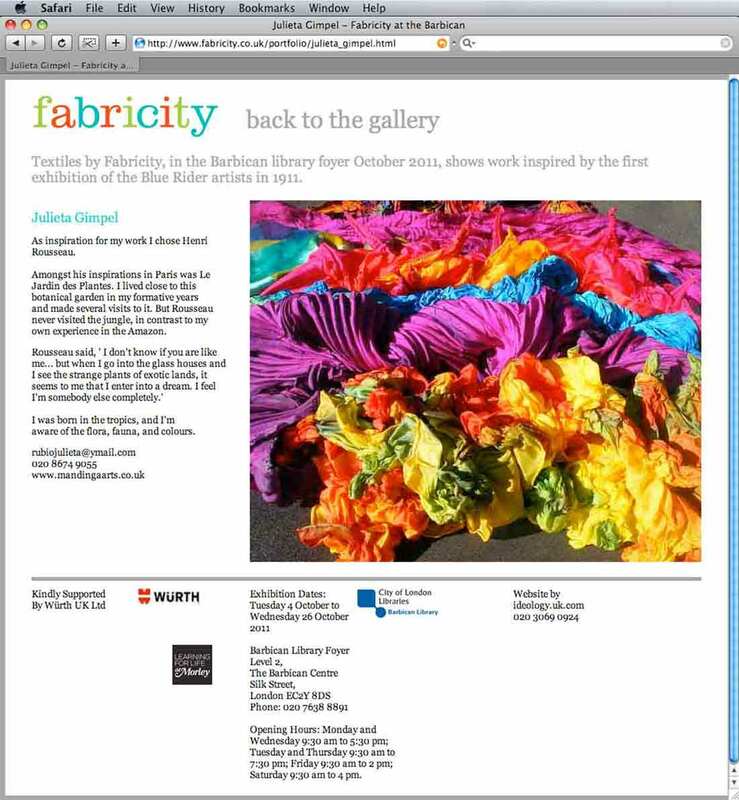 Fabricity is a group of textile artists and they came to us full of glee, having been invited to exhibit their work at the Barbican. They wanted an identity for their newly formed group as well as a website to both promote their first exhibition and provide a platform for their individual art work. All of this to be completed within a short timescale and limited budget. 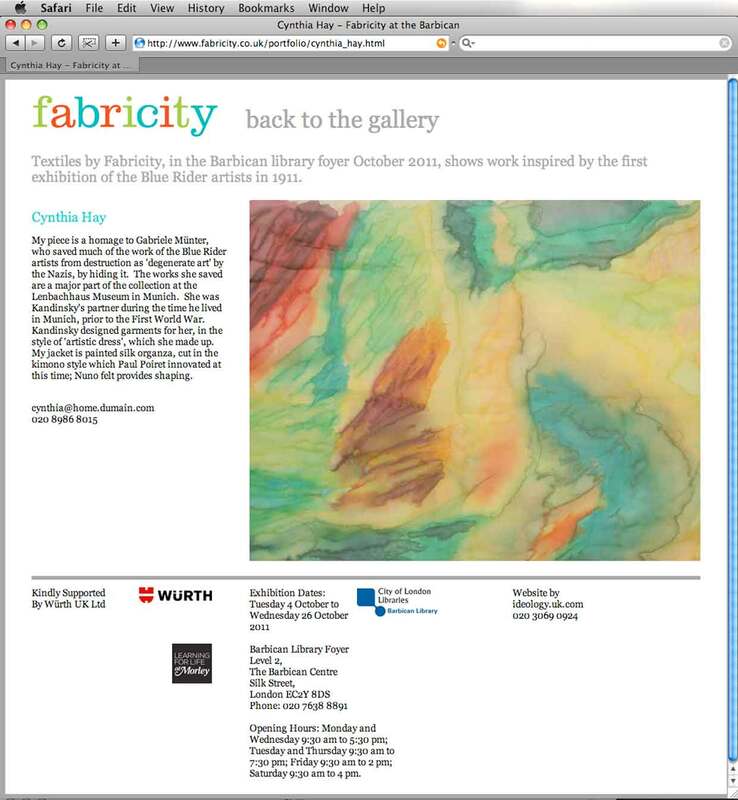 Each of the artists used different creative techniques including dye, stitch, quilt and knit. What brought the work together was its inspiration in the Expressionist Blue Rider Group. 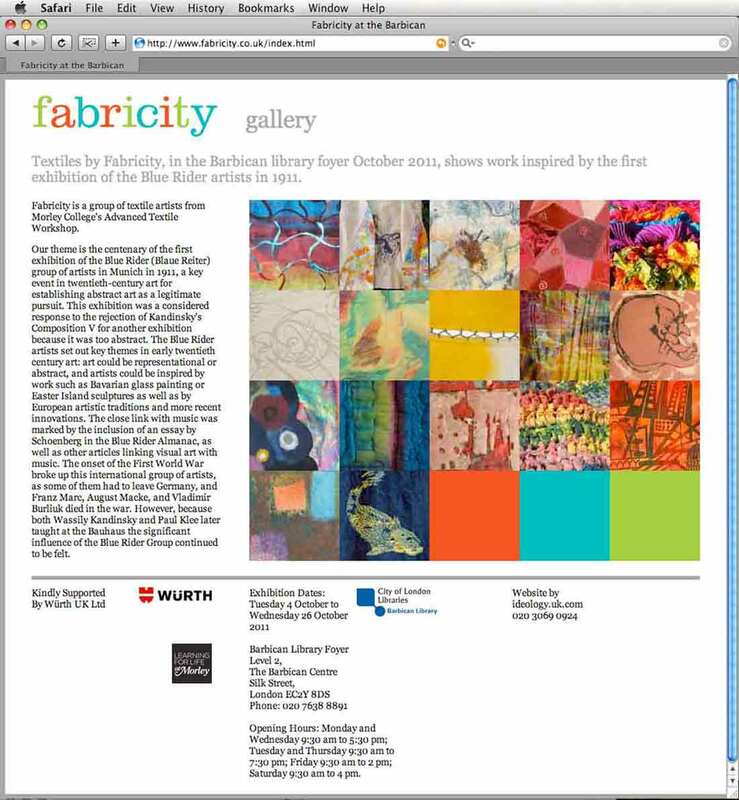 Expressionist colour then became the uniting theme with the motif of a patchwork quilt as a navigation device and to enable each artist to have a web page to display their unique work.